Body modification is a centuries-old practice that dates back to the Stone Age. Whether you need to re-pierce your ears or you’re looking to get something a bit edgier in your lip, Rhode Island’s awesome piercing spots have you covered. From Providence to Pawtucket, here are the 10 best places in the state. Unicorn Ink is a tattoo/piercing parlor that was first started in 2012. Gregory Arpin (Head Tattoo Artist/Head Piercer) started these services with the intent to exceed all expectations when it comes to piercings and tattoos. All of his artists are trained in-house, given the highest quality inks, and encouraged develop their own styles. The upshot is a parlor that offers a wide variety of choices and a body altering experience like no other. Sin Alley Tattoo provides a tattoo and piercing experience at the hand of a patient and talented staff. You will find hospital-like sterilization, proprietary art designs, and competitive pricing at this small tattoo and piercing parlor. Additionally, Sin Alley offers touch-up, cover-up, and restoration services to brush up your old ink. Whether you are looking for your first piercing or to touch up some old ink, the premise is still that same: hold steady for the art to come out right. Offering original designs, aftercare recommendations, merchandise, touch-ups, piercings, re-opening, restoration, new ink, and more, Hold Steady is a full-service tattoo parlor. Plus, the environment is sterile, and the staff is professional. At Troubled Soul Tattoo, we are talking about geometric tattoos, minimalistic designs, realistic ink, Japanese-style images, new school, old school, tribal art, and more. 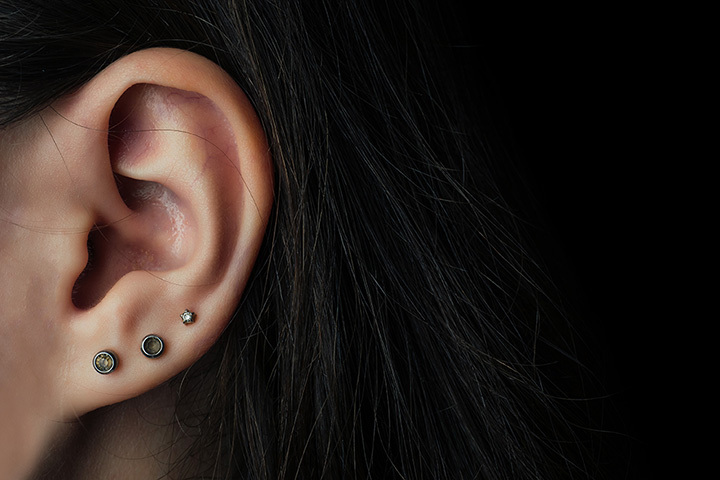 Moreover, you will find body piercings, custom artwork, professional artists, and a sterile environment, in addition to touch-ups, restorations, and more. Plus, the shop is both clean and sanitary, and the staff is friendly and caring. The staff at Artfreek is both patient and friendly, and the use of high-quality inks means your tattoo will last decades. Established in 1994, this small tattoo and piercing shop has been performing body art and augmentations for almost 25 years. Plus, they sell proprietary tattoo machines, posters, tees, and other related accessories. Located in beautiful and historic downtown Newport, this tattoo and piercing spot specializes in ink restorations and cover-ups. By many accounts, Anchor Steam is also both clean and sterile, and the shop has been licensed for the body augmentation business for over 30 years. At this tattoo and piercing joint, walk-ins are always welcome. There are seven artists, and each one will help you pick out a tattoo or piercing that matches your personality. Services include cover-ups, custom tattoos, Black Steel, Color Line, Bling, and more, and, if you hang around long enough, you’ll see special artists and experience community events. By many accounts, artists at Level 7 are patient, caring, and funny, and you’ll find custom tattoos, piercings, and more. Established in 2009, Level 7 is a small street shop that expects to exceed your conception of a typical tattoo and piercing parlor. Additionally, walk-ins are welcome, but appointments are encouraged, as there is a limited staff. Whether you are looking to get some custom ink, a piercing, or to purchase high-quality cigars, Shades of Sunderland has got your back. With 25 years of experience, the talented staff is prepared to work with you to develop your own tattoo or to choose from a variety of pre-existing ones. The shop has a BBB A+ rating, and the staff is friendly and talented. Offering a different spin on tattooing and piercing, Phoenix combines all of the typical services that you would expect to find in a typical tattoo parlor with something a little bit more. In addition to professional tattooing and piercing, this ink shop offers Reiki healing, astrology, and tarot readings, as well as Bio-Mat Therapy, soul realignment, and other spiritual wellness offerings.